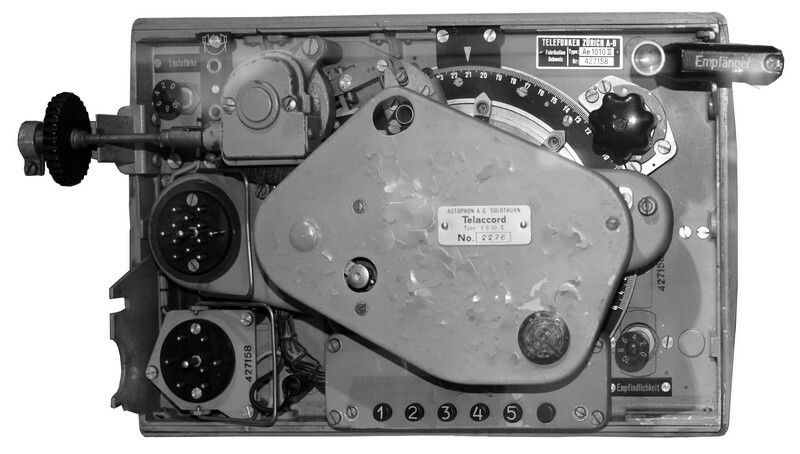 The Telefunken aircraft wireless station Stat. 1005b F has been evaluated to be installed in single-seated fighter aircrafts of the Swiss Air Force. This sets could be remote controlled with the Telaccord mechanical tuning adapter produced by Autophon AG, and this was required that the sets could be operated by the pilot and a wireless operator occupying a second seat on a plane was no more needed. The sets could not be ordered in Germany any more, as the German industry had been transformed for war production and had no sufficient capacities: all necessary production documents were in possession of Telefunken Zurich AG, so licence production could be organised in Switzerland. In 1942/43 some 210 sets to fit the Morane D 3801/02 and C 3603 fighter aircraft had been produced. The aircraft wireless station FG X, which later got the designation SE-010, has been produced under Telefunken licence by Telefunken Zurich, the electromechanic remote control / remote tuning adaptor Telaccord has been produced by Autophon AG, Solothurn. The wireless station FG X consists of the following components: Transmitter AS 1009 with Telaccord adaptor "S" (for "Sender"), the antenna tuning unit Al 1011 with Telaccord adaptor "A", the receiver Ae 1010 with Telaccord adaptor "E" (for "Empfänger"), and the dynamotor Ak 1073. 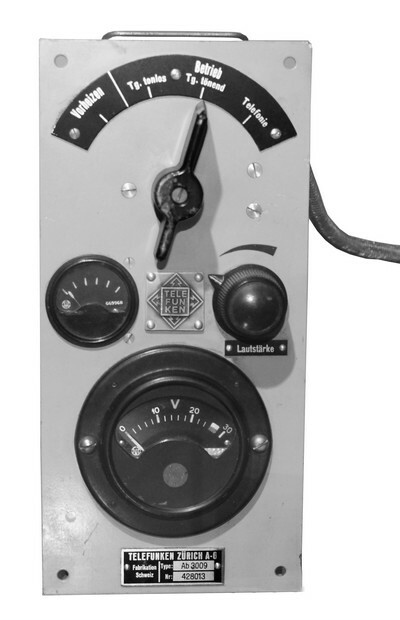 In single-seated aircraft installations, there was also the control box Ab 3009, the wave selector Telaccord, a junction box for the Telaccord system, a receiver fine tuning box, a morse key ST361F, a control column key, a main switch box and sets of cables for the wireless station itself and the telaccord remote control and tuning system. 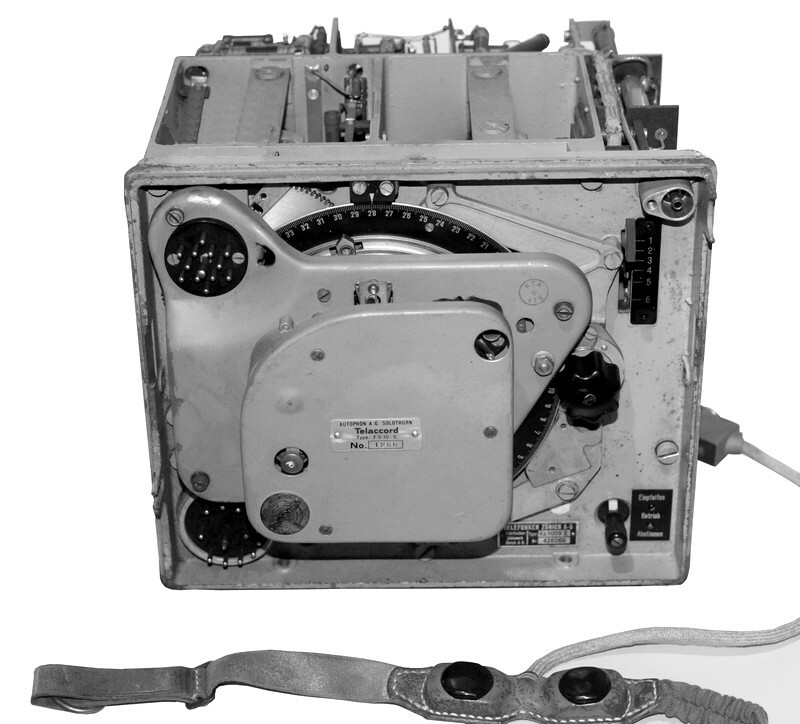 In double-seaters, a switching box Ab 3020 for on-board intercom, a second key, microphone switch and wave selector box had to be installed. In contrast to earlier equipment like the FG IX, all functions from dynamotor start, selection of operation mode, frequency selection (five frequencies had to be pre-tuned), receiver fine tuning up to automatic switching of the antenna relay could be remote controlled. The two stage transmitter covers shortwaves from 6000 - 12000 kHz, a RS 287 is used in the auto-oscillating driver stage and two RS 287 in parallel in the RF output stage. Two NF4 valves are used as modulation amplifiers. The RF output is similar to the one of the FG IV: 60 Watts in telegraphy CW and 25 Watts in telephony and modulated telegraphy modes. The receiver is a superheterodyne and covers 6000 - 12000 kHz, it has three tuned RF circuits, four IF circuits and a AF output stage. In all stages, also in the oscillator and the beat frequency oscillator, NF4 valves are used. The heater voltages for the transmitter and receiver are directly taken from the aircraft on-board power system, the plate and grid voltages are generated by dynamotors from the 27 V primary voltage. The pilot can select operation mode and AF volume at the control box. The Telaccord system, which permits to select one of five pre-set frequencies from a wave selector box, has been constructed by Autophon and was installed on the receiver, transmitter and antenna tuner as add-on adaptors. With the cable sets, the transmitter (8,78 kg), receiver (7,75 kg), antenna tuner (3,65 kg) ans dynamotor (12,15 kg), the complete systeme has a weight of 64,25 kg for single-seated aircraft and 66,69 kg for double-seaters respectively.